Friends, colleagues, fans have not even stopped to congratulate 34-year-old Natalia Vodianova with the birth of fifth child, as it became known that the model has already returned to work. The son of Natalia and her boyfriend Antoine Arnault - Roman was born on 4 June. 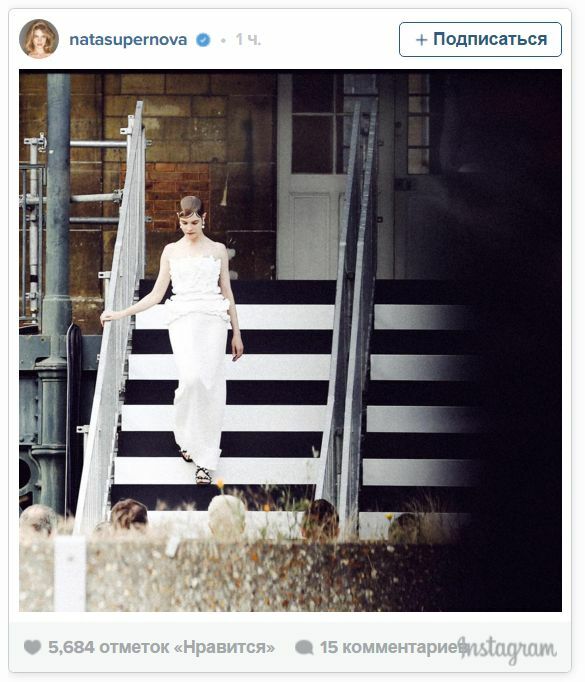 And Vodianova is already involved in work, showing the spring-summer 2017 collection of fashion house Givenchy. It turns out her maternity leave did not last three weeks! “It’s time to work!” - signed the mother of five children a video in which she was seen with a colleague - model Mariacarla Boscono. And later more pictures of Vodianova were posted on the Web. Natalia Vodianova at the Givenchy show.